If you've always wanted your own Mini Cooper but the vehicle is just a little too small for your lifestyle, the Mini Cooper SUV might be the perfect vehicle for you. 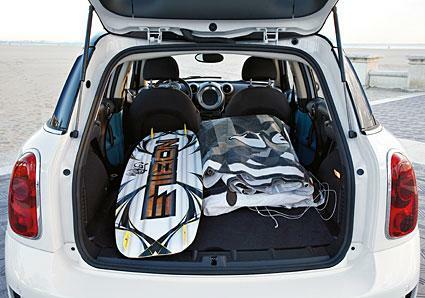 There are a lot of people who love the look and style of the Mini Cooper but need a little more space. 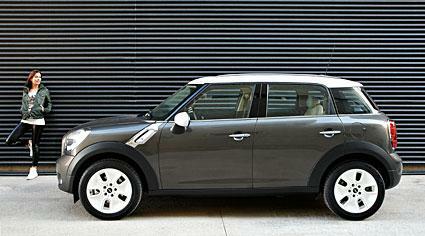 With the introduction of the 16-inch longer SUV body, BMW opened up the Mini Cooper to an entirely new customer base. The Mini Cooper was one of the first popular vehicles to enter into the American market with a very clear British style and body size. It didn't take long for the vehicle to establish a cult following of customers that immediately fell in love with the "Mini." Drivers joined together all around the world to create MINI clubs, and entire websites sprang up that offered news, products and forums for lovers of the MINI. BMW relaunched the MINI in 2001, but the vehicle only suited the tastes and lifestyle of consumers who enjoyed the low profile and small body combined with slightly oversized wheels, peppy engine choice and the trademark European style. In 2011, BMW finally released a MINI SUV called "The Countryman" that offered a frame that was 16 inches longer than the original MINI and featured four doors, more interior room and even the option for four-wheel drive. Whether they were long-time MINI fans or new to the brand, most customers were pleasantly surprised at what they discovered when they took their first test drive of The Countryman. A larger frame offered extended interior room that allowed a much larger segment of the potential customer base to try a MINI for the first time. The Mini SUV kept the same interior styling, such as the signature giant speedometer on the center console. However, the car offered the addition of five extra inches of leg room for back passengers or extra cargo space behind the back seats. The center rail and doors offered unique ambient lighting that pleased the senses of both drivers and passengers. Not only did the center rail improve ambiance, but it also offered storage space for cups, music, cell phones and more. The Mini SUV came standard with a 120-horsepower, 1.6-liter engine, but power hungry drivers could opt for the 180-horsepower engine instead. Considering that the average weight of this SUV was still less than most other vehicles, these engine sizes offered enough power to please any driver. The addition of optional all-wheel drive made the Mini SUV a viable option for customers living in regions of the country with harsh climates. The Mini Cooper has always been a car that turned heads and made people smile. The introduction of the larger Mini transformed the car from a "cute" vehicle into one that was more practical for people with families. 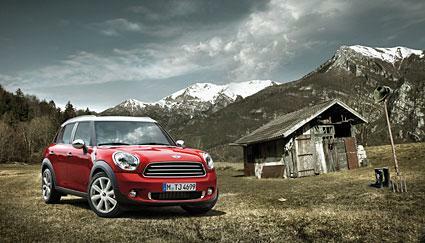 Can't get enough of The Countryman? If you're interested in taking a closer look at the Mini Cooper SUV, you can expect to find the following features as well. The wheelbase is two inches wider than the Mini Cooper, so expect better stability and handling. 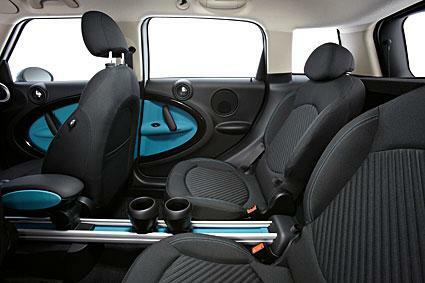 Optional seating provides room for up to five passengers. The vehicle offers cool integration of electronics like music players and smartphones. There are just over 12 cubic feet of cargo capacity at the rear of the vehicle. Folding down the rear seats lets owners enjoy 41 cubic feet of cargo capacity. The all-wheel drive system will distribute up to all of the torque to the rear wheels and electronic traction control for front wheels. Much of the sporty style of the Mini Cooper SUV comes from the nice-looking 17-inch wheels. If you've always loved the look of the Mini Cooper but avoided buying one because there just wasn't enough space, the SUV model introduced in 2011 may very well be the perfect car for you.